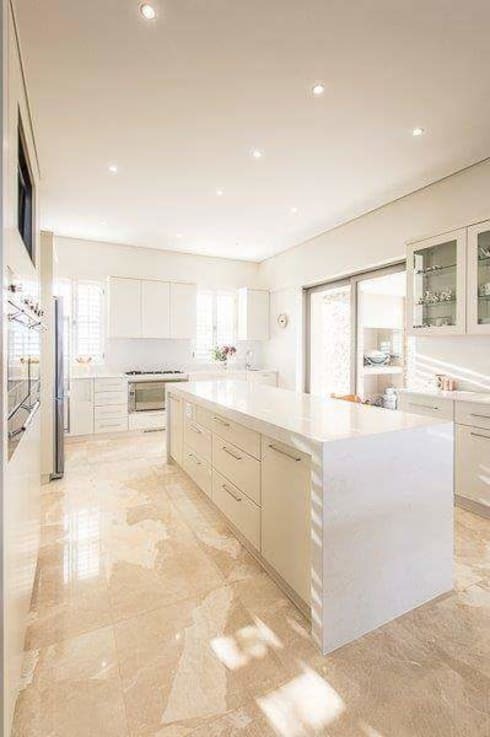 In this edition of homify 360, we visit a lovely South African home in the seaside town of Ballito, Kwa Zulu Natal. The spacious villa located in the iconic Brettenwood Estate has sensational architecture, an elegant interior and simple details that take it to the next level. It's filled with light and fresh air from all angles, making it a comfortable and enjoyable space to live in. 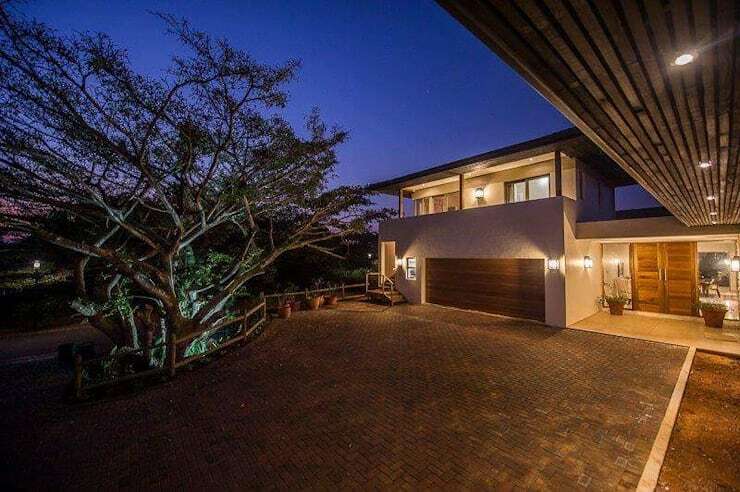 The architects opted for a relaxing atmosphere, neutral colours and spectacular lighting in their creation of the gorgeous home, which is only a stone's throw away from the ocean and Durban's infamous golden mile beaches. 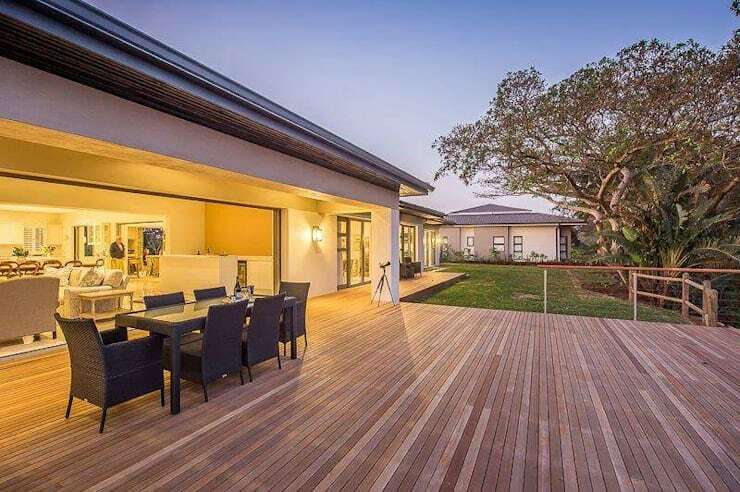 Ballito is the ultimate vacation spot in the province, offering a quiet small town ambiance that doesn't skimp on sights, history and of course modern living. The exterior of this beautiful home sees some wonderful wooden accents, brilliant lighting and an inviting atmosphere. The dusky view of the home here displays a dramatic element of the architecture and the spacious front driveway ensures enough off-street parking for all your guests. From this perspective we see that the villa is double storey, which means that this modern home is family friendly too. Enjoy the warm summer breeze from the amazing terrace as evening settles in, the outdoor dining area is fantastic for entertaining, while the gorgeous lighting has been perfectly placed to make this space comfortable, attractive and tranquil too. Who wouldn't want to have friends and family over for a delightful barbecue that's turned into a never ending party? The terrace is an extension of the living room area, so keep the house clean by taking the noise outdoors. The wooden deck keeps the grass intact regardless of the dance sequence. The bright, all-white kitchen is a fitting feature for this house. The spacious storage has been meticulously planned, keeping the countertops clear and uncluttered, while the lighting adds a luxurious effect. The kitchen is a gorgeous setting for whipping up a gourmet meal and maintaining order will be simple with these many cabinets. The bathroom complements the rest of this home perfectly. The neutral and all-white colour palette, lovely natural lighting and contemporary fixtures and fittings are an excellent choice to keep this relaxing space trendy and tasteful for years to come. 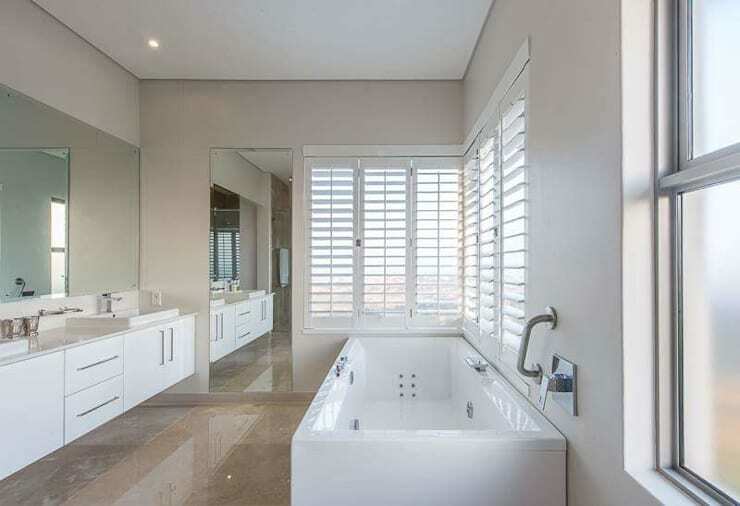 The artificial lighting along with the large mirror will ensure that this spacious bathroom looks illuminated and elegant throughout the evening. How about these: 15 simple ideas that will make your entrance look beautiful? 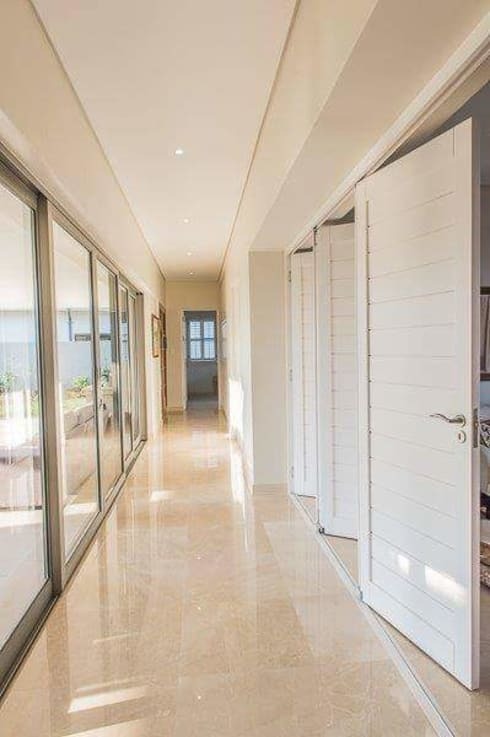 What do you think about this South African villa?